I was browsing some articles from my RSS feed and happened across an article that listed some excuses that cheaters have given their partners when discovered in an affair. I selected some of the more eye-rollingly terrible ones to duplicate here. My friend was texting using my phone. Oh, I have that email for spam. I didn’t know what I was doing – they mean nothing to me. She’s lying – she’s just obsessed with me. I didn’t do it baby – why don’t you believe me and not the rumors you’re being told? She kissed me, I didn’t kiss her. You weren’t there for me when I needed you. I was drunk and thought it was you. I wish you hadn’t found out because I was just about to end it. Everyone knows your ex cheated on you regularly, now all of a sudden you have a higher standard? That’s unfair to me. We have a thread dedicated to the fine art of “Affair Excuses Word Salad” in our forum here at Infidelity & Affair Help, and I shall most certainly be adding these to the list. On first pass they make rather amusing, albeit infuriating, reading but the underlying issue is far from funny – it’s dark and ugly, and can be damaging. 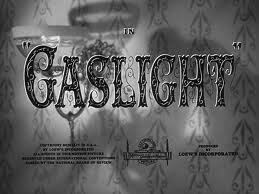 In an article by Tracy Schorn, the issue of gaslighting is explored. The excuses that cheaters often give fit the bill entirely for this insidious form of manipulation. Finding yourself faced with this type of erosion of your sense of reality is disturbing and can have long-lasting effects. Understanding what you are facing is the primary tool to restore your sense of equilibrium and to protect yourself from further harm. Recognizing it when it happens is the biggest step you can make. Psychology Today lists some ways in which you can detect if you are being gaslighted. 3. You often feel confused and even crazy. 4. You’re always apologizing to your partner. 6. You frequently make excuses for your partner’s behavior to friends and family. 7. You find yourself withholding information from friends and family so you don’t have to explain or make excuses. 11. You have the sense that you used to be a very different person – more confident, more fun-loving, more relaxed. 13. You feel as though you can’t do anything right. 14. You wonder if you are a “good enough” partner. 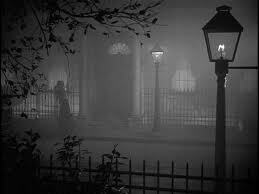 The flickering gaslights he claims she has imagined. Whilst gaslighting can be directly applied to excuses conjured up when their partner confronts them about a suspected affair, it would be misguided to believe that gaslighting suddenly happens in response to the accusation. It is far more likely that the cheater has employed gaslighting for some time prior to, and during their conduct of their affair. In order for there to be any chance at all that someone would buy into what we, as the outside world, view as a ridiculous excuse, there has to have been a consistent and deliberate attempt to alter the narrative around all manner of behaviors. It could be as mundane as telling you that your taste buds aren’t working right, because the coffee you make is revolting though you drink it quite happily. It can be as overt as telling you that you’re being too demanding by asking that they help with the kids, so your partner needs to go out without you to get away from your controlling nature. On their own, these things may well have some validity, and may not be seen as particularly damaging – and that is why gaslighting is so effective. You perhaps see a small grain of truth, or you want to make your partner happy, so you buy what they’re saying. As an overall strategy, the constant drip drip drip of their negative narrative can eventually erode your sense of normality and replace it with their altered version. Gaslighting is essentially camouflage, designed to make you feel nuts for questioning them, doubting them, or challenging them. Despite the damaging undertones to these excuses, they do represent some of the most ridiculous and pathetic efforts to deny or justify infidelity or an affair. I shall be adding them to the other gems that we have collected in our discussion forum. Register or Login to view them, or even add your own!